The Four Horsemen of the Skeptpocalypse are back with another fun and interesting episode for number 289. Darren leads things off with an analysis of the media coverage of the missing Malaysian Flight 370. Next Elan re-opens fallacy/bias school with an overview of congruence bias and how it affects our daily lives. Adam closes out the show by answering if someone really wrote the words “Dankey Kang” as an answer to a clue on Jeopardy. This entry was posted in The Reality Check Episodes and tagged 289, 370, bias, congruence, dankey, flight, kang, malaysian, trc. Bookmark the permalink. One Response to TRC #289: Malaysian Flight 370 + Congruence Bias + Who is Dankey Kang? 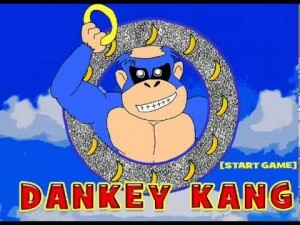 Adam next time you are inspired to discuss some Jeopardy answer like Danky Kang, do us all a favor and don’t! ^_^ For most of the segment I had no freaking idea what in the bejeezus you were talking about!